Rocky Point Hydromulch has been independently tested and validated to ensure our product is a high quality solution for erosion control. 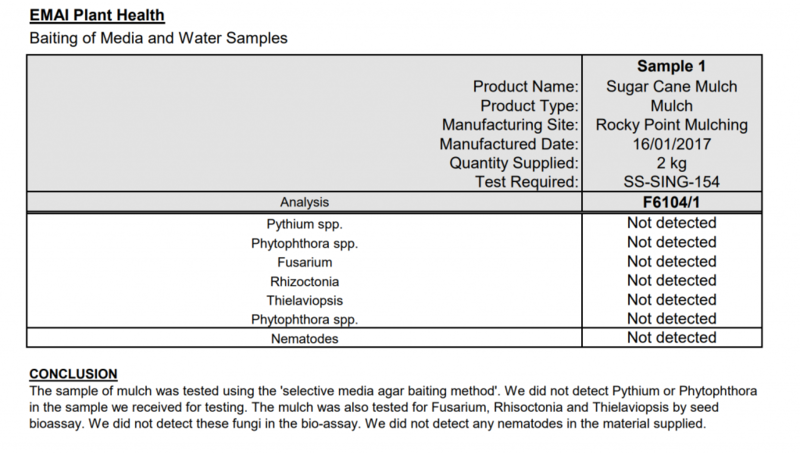 Not only is it a combination of certified organic and recycled products, all of which have been tested for pathogens, leachate and contaminants such as seeds, but it is cost effective when compared with other treatments available on the market. We know our product, where it comes from and what it is made of. By working with our customers, we are systematically addressing all of the issues faced by todays land reclamation industry. We know it works and it keeps on working to stabilise and help the growth of vegetation. 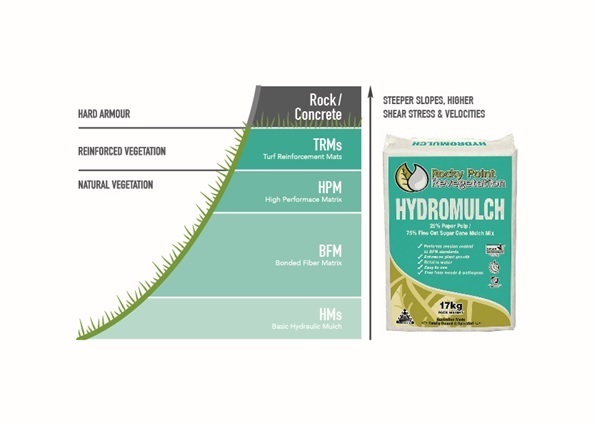 Whether it’s an infrastructure corridor, sensitive water catchment area, mine site, road side or urban development, Rocky Point Hydromulch is suited for use in applications and the results show. 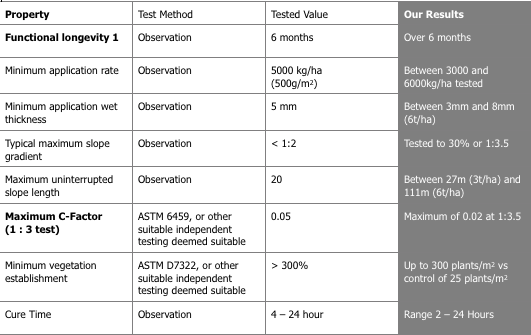 It’s a trusted solution to your surface stabilisation needs. Research carried out by: Pandanus Solutions. 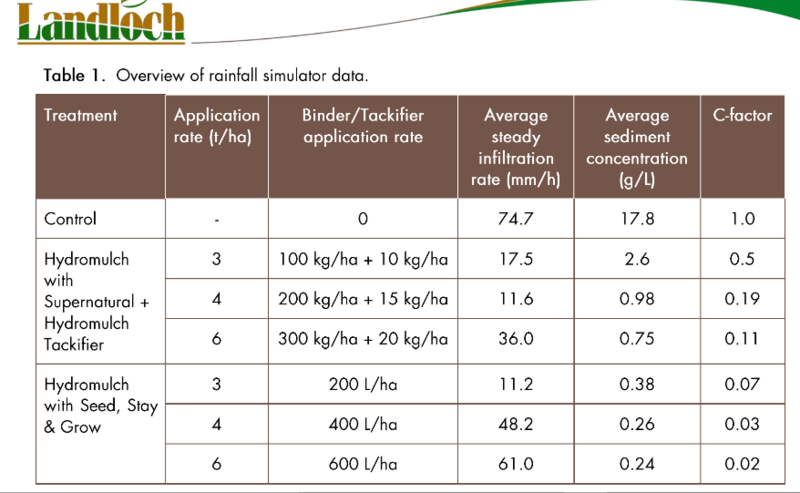 Weed control benefits depend on mulch type, glue type and application rate. 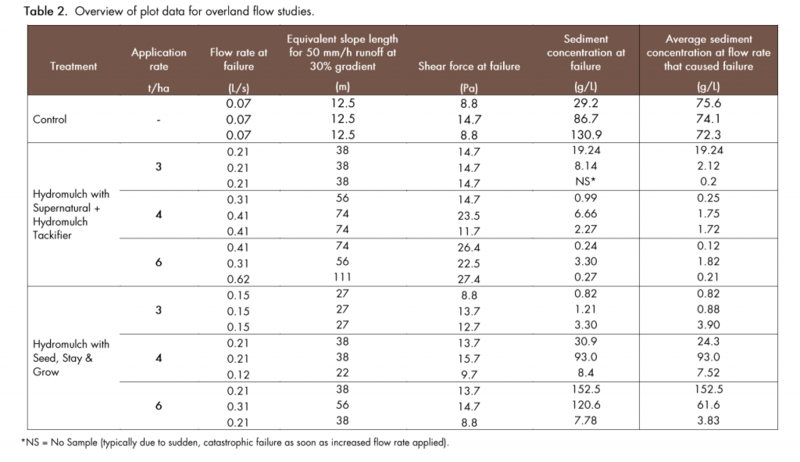 Application rate and surface cover are critical to its short-term erosion control. Wet strength is determined by the choice and mix of non-rewetting glues. Soil testing, soil treatment and preparation is critical for successful vegetation establishment. 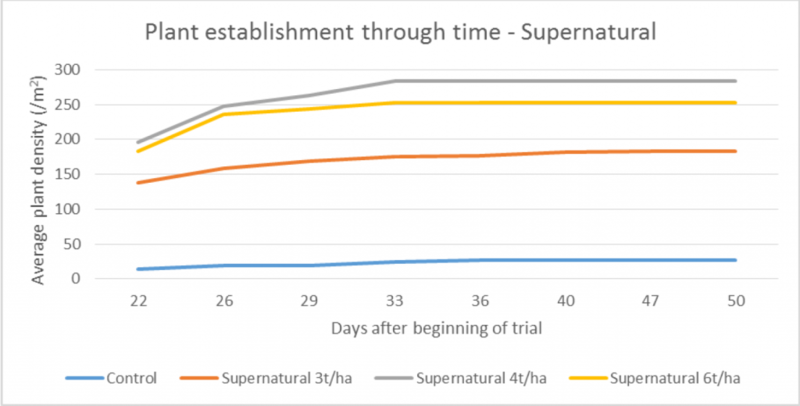 All Hydromulch treatments reduced erosion by intense rainfall, though erosion control benefits were reduced somewhat by the action of the treatments – presumably the tackifiers – In reducing steady infiltration rates. Nonetheless, the most effective treatment did demonstrate C-Factors as low as 0.02 under intense rain.